Galatians 6:7 Do not be led astray: Elohim is not mocked, for whatever a man sows, that he shall also reap. The concept of sowing and reaping is well-understood from an agricultural sense; the type of seed you plant will produce the fruit you expect (such as planting a tomato seed produces tomatoes). 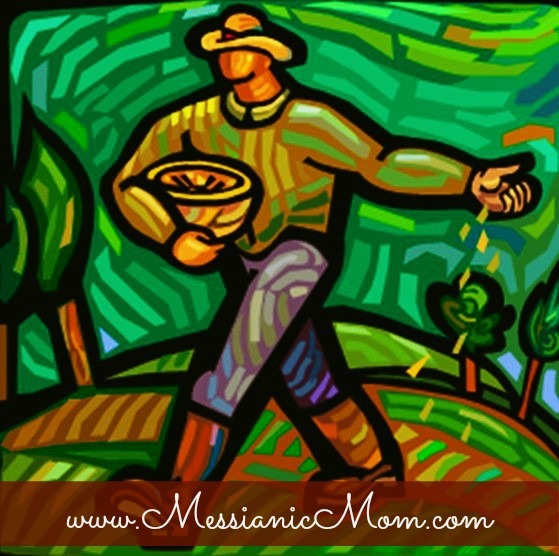 This agricultural concept of sowing and reaping crops is used in Scripture to portray spiritual realities as well. YHWH tells us in Genesis 8:22 seed time and harvest would be perpetual realities. The spiritual law of sowing and reaping also continues to exist today (Galatians 6:7). What kind of fruit is growing in our gardens depends on the type of seed we are planting. Matthew 7:17 “So every good tree yields good fruit, but a rotten tree yields wicked fruit. Gal 5:19 And the works of the flesh are well-known, which are these: adultery, whoring, uncleanness, indecency, Gal 5:20 idolatry, drug sorcery, hatred, quarrels, jealousies, fits of rage, selfish ambitions, dissensions, factions, Gal 5:21 envy, murders, drunkenness, wild parties, and the like – of which I forewarn you, even as I also said before, that those who practice such as these shall not inherit the reign of Elohim. Did you notice the last line of that verse? Those who practice such as these shall not inherit the reign of Elohim. We will be just like the Israelites in the wilderness who had Torah, but didn’t actually live Torah, who never got into Caanan (Promised Land). So, clearly, just having a knowledge of Torah is NOT going to get us into the Promised Land either. Gal 5:22 But the fruit of the Spirit is love, joy, peace, patience, kindness, goodness, trustworthiness, Gal 5:23 gentleness, self-control. Against such there is no Torah. Gal 5:24 And those who are of Messiah have impaled the flesh with its passions and the desires. Mat 7:15 “But beware of the false prophets, who come to you in sheep’s clothing, but inwardly they are savage wolves. 16 “By their fruits you shall know them. Are grapes gathered from thornbushes or figs from thistles? 17 “So every good tree yields good fruit, but a rotten tree yields wicked fruit. 18 “A good tree is unable to yield wicked fruit, and a rotten tree to yield good fruit. It is important to note here, that the word “prophet” doesn’t necessarily mean someone who is prophesying. A prophet can simply be a spokesman or speaker (H5030) or an interpreter of oracles (G4396)… i.e. a teacher. If we use these definitions, aren’t we ALL “prophets (teachers)” to some extent, if we share our own interpretations and understanding of Scripture? Jas 3:1 Not many of you should become teachers, my brothers, knowing that we shall receive greater judgment. Greater Judgment. We will be held accountable for every word we speak and teach. So, we probably should read all of James 3 to determine what this statement is about. Jas 3:2 For we all stumble in many matters. If anyone does not stumble in word, he is a perfect man, able also to bridle the entire body. Jas 3:3 Look, we put bits in the mouths of horses, for them to obey us, and we turn their body. Jas 3:4 Look at the ships too: although they are so big and are driven by strong winds, they are turned by a very small rudder wherever the pilot intends. Jas 3:5 So too the tongue is a little member, yet boasts greatly. See how a little fire kindles a great forest! Jas 3:6 And the tongue is a fire, the world of unrighteousness. Among our members the tongue is set, the one defiling the entire body, and setting on fire the wheel of life, and it is set on fire by Gehenna. Jas 3:8 But no man is able to tame the tongue. It is unruly, evil, filled with deadly poison. Jas 3:9 With it we bless our Elohim and Father, and with it we curse men, who have been made in the likeness of Elohim. Jas 3:10 Out of the same mouth proceed blessing and cursing. My brothers, this should not be so. Jas 3:11 Does the fountain send forth the sweet and the bitter from the same opening? Jas 3:12 My brothers, is a fig tree able to bear olives, or a grapevine figs? So neither is a fountain able to make salt and sweet water. Jas 3:13 Who is wise and understanding among you? Let him show by his good behaviour his works in meekness of wisdom. Jas 3:14 But if you have bitter jealousy and self-seeking in your hearts, do not boast against and lie against the truth. Jas 3:15 This is not the wisdom coming down from above, but it is earthly, unspiritual, demonic. Jas 3:16 For where jealousy and self-seeking are, there is confusion and every foul deed. Wow… so it seems that we better be walking in the fruit of the Spirit in His wisdom and producing good fruit if we are going to be teaching others our understanding of scripture. Our mouths are able to produce life and death. We need to be sure we are not only sharing knowledge, but wisdom as described in James 3:17-18.